He kinda looks like rutger hauer. Looks good- but Hasbro already nailed this one, so I can't justify the $100 price tag for awesome accessories and a light-up feature. Dude, I said the same thing over on Fwoosh! That's who I thought of as soon as I seen it. 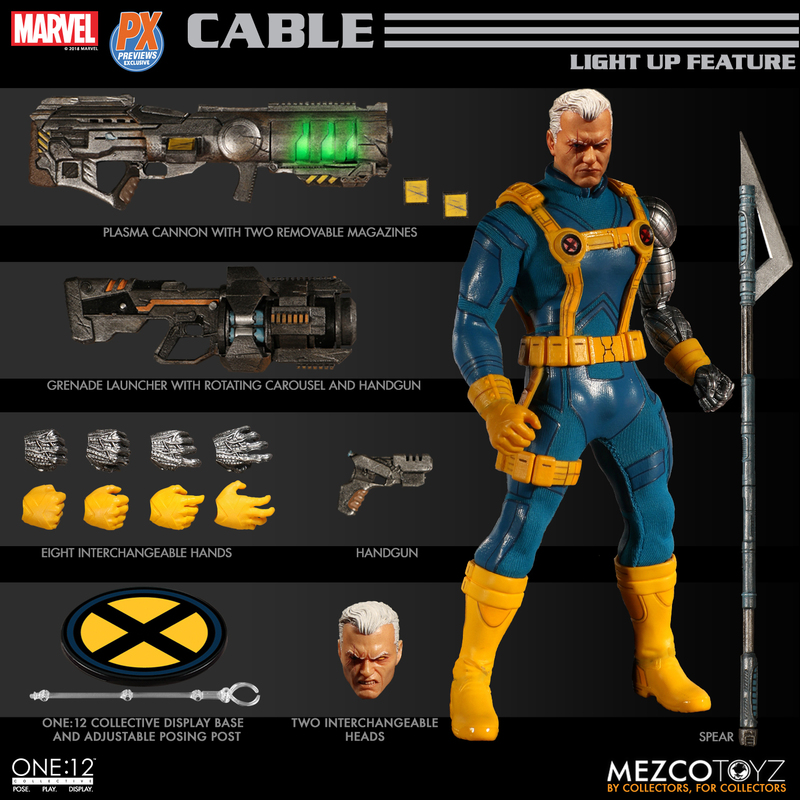 Man, he would have made a great Cable back in the day! This figure is fantastic and I pre-ordered it on BBTS. It blows away any other version. I like his look but I think I'm priced out. I'm just not much for the light up gimmicks either. If that was cut and the price dropped I'd probably grab him. Price is tough, but I really dig him, unlike the $100 mego-looking Cyclops. Cable's one of the best looking One:12's yet. don't want to but i have to. pre-ordered. 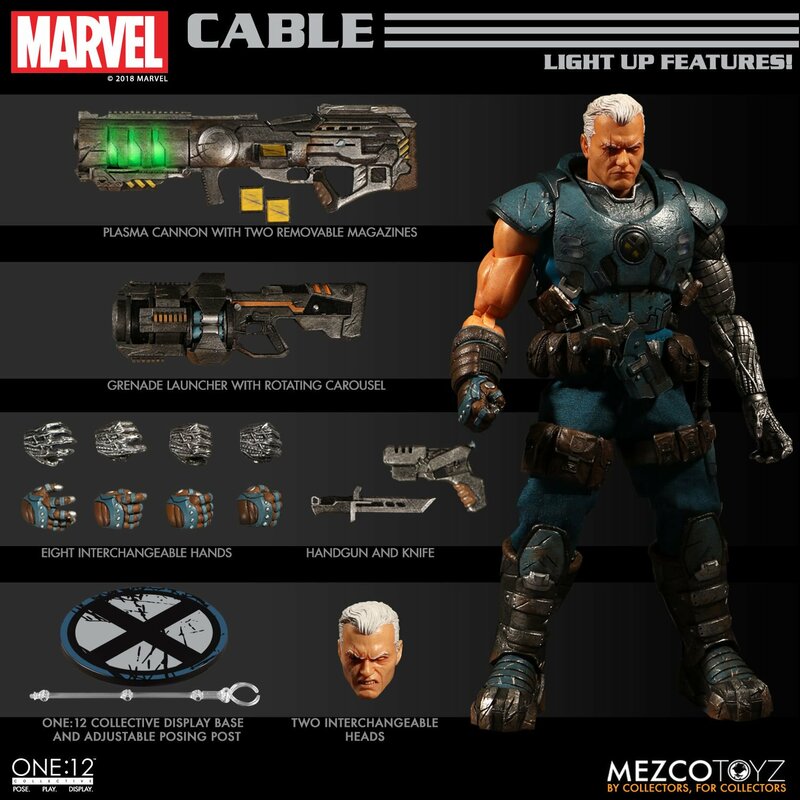 Would love to get his heads and accessories for my ML Cable to get some alt looks- but not at that pricetag.